I asked on Instagram (@medicalschoolhq – follow me!) for questions for this episode. You did not disappoint! Here are some questions our students asked and I’m tackling them one by one. Oh, and if you haven’t yet, please check out MedEd Media! We have a new podcast, the TMDSAS Podcast. The TMDSAS stands for Texas Medical and Dental School Application Service, which is the application system for the public Texas medical schools. And while you’re at it, be sure to listen to all our other podcasts to help you on your medical school journey! Q: How strongly do you suggest visiting all, more than half, or at least a few medical schools before applying to them? A: Ideally, you visit medical schools before you apply to them to get the vibe and culture of the medical school, which you can’t get just by reading online. Soon, we’ll have a tool for you where you’d get to go to medschoolreviews.com and see medical students’ reviews of their school. They can tell you the type of support they have as well as their culture and everything else at the school. So stay tuned for this! The best way is to travel to the medical schools. It’s not feasible to do that of course. But if you’re local to some medical schools, then you can definitely do this. Contact them and find out about open houses. Nevertheless, it’s not very feasible to go to all the medical schools you’re applying to or even half of them. And because of this, you have to do all your research to figure out what you need to figure out before applying. Look on social media, websites, etc. Q: How do you do well as an older nontrad to take sciences when they’re not one’s strength? A: Practice, practice, practice. Tutors, tutors, tutors. You just have to put your head down and figure it out. Use Khan Academy. If you need help with organic chemistry, check out Leah4sci’s organic chemistry tutorial videos. There are plenty of resources out there. Ask for help! A lot of students don’t know how to ask for help. Q: What are your thoughts on an SMP? A: An SMP is something you can do if your grades aren’t good enough. The GPA counts as graduate level coursework, not undergraduate level coursework. So it’s not going to affect your undergraduate GPA but it’s a way to prove to medical schools and to yourself that you are ready for it. Q: Is an in-person MCAT course during a semester for accountability worth it? First attempt was poor. A: MCAT courses, tutoring, and prep are completely personal. Accountability is the key part here as some students need that accountability. They need that class where they know somebody’s going to be waiting for them. Then taking the in-person MCAT course would be a good decision. But if it’s not possible to travel to a local MCAT in-person course, then maybe doing a live online course may help. And there’s also tutoring. So it all depends on your level. Tutoring is the ultimate level of accountability where you’re meeting one-on-one with somebody. Again, this is a personal decision. Think about what you need. If you need accountability, then you might just need the in-person course. 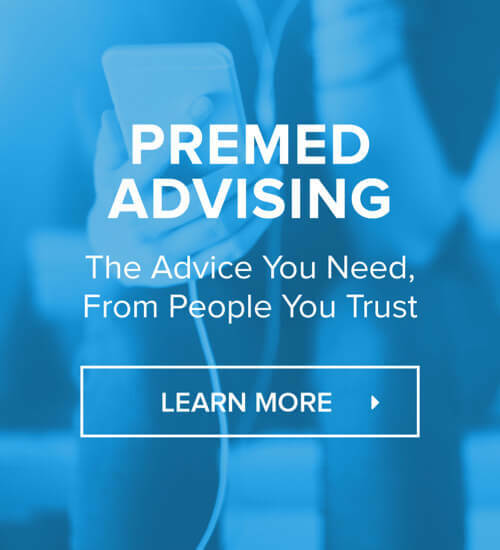 Q: What kind of information do you offer on your personal premed coaching services? A: I help students with personal statements, interview prep, general applications, and more. Check it all out at store.medicalschoolhq.net. Q: Would you suggest a second bachelor’s or a master’s when trying to finish prereqs? I asked because it’s difficult for non degree seeking students needing prereqs so which is the best route? A: A second bachelor’s degree is typically an overkill. You don’t need it. The key part of the question is the non-degree seeking students. Nobody said that you can’t register to take another degree and you just don’t finish. A lot of schools will limit your ability to register for courses if you’re a non-degree seeking student. They want to reserve spots for students who are seeking degrees. And so you can do a degree and take the prereqs you need and then not really finish it. Now, is it worth a master’s? Probably not. Q: Is it okay to talk to your interviewer about your interest in palliative care? A: Of course. I wouldn’t force it in there if it comes up about what you’re interested in. Q: Is getting a BSN for RNs on an online program going to affect the application outlook? A: It’s an online program. It’s for your nursing degree so it doesn’t cover your prereqs so it isn’t going to affect your application. However, your prereqs probably shouldn’t be online. Most schools don’t accept online courses for that. Q: What should freshmen premeds focus on? A: Freshmen should focus on doing well in their classes. Focus on being college students. Once you figure out how to be a good college student and how to do well in your courses, then you can start adding extracurriculars on top of it. Q: Do med schools look to see if you were an honor in college? Q: What should I ask advisors of other med schools from other states? A: Ask them what you need to know. When you’re reaching out to medical schools, a lot of students will ask complete bogus, BS questions. They think if they initiated contact then they’re going to see you’re motivated. But with a dumb question, they’re probably going to think you’re not trying very hard and you’re just wasting their time. Q: What do you do if your advisor doesn’t believe in you? How do you still get a good letter? A: You don’t get a letter from your advisor. Your premed advisors are not there to tell you no. They’re there to help you figure out what you need to do based on where you are right now. So if your advisor is not willing to write you a letter then great. Go get your own letters. Q: How detailed do institutional action statements need to be to match the violation? A: They need to be as detailed as possible to explain the situation. Q: How do you prepare for the MCAT if you go to a community college and when should we take the MCAT? A: You prepare for the MCAT just like everybody else, regardless if you’re in a community college or any college. You study for the MCAT the same way. Get some books, learn the material. Do well in your core classes. Join a study group. Take practice tests to prepare yourself for the MCAT. Take it no later than March or April of the year you’re planning to apply. This allows you to get your score back and to figure out where you stand before you hit that Submit button. Q: As a Canadian nontrad, if I have to go international for medical school, where is my best option? The U.S.? A: the U.S. is hard to get into, especially for Canadian students. The Caribbean is probably the best bet if you have to go international. For U.S. students, Canada doesn’t have a lot of medical schools and they’re highly provincial. If you think about our public medical schools, each state has it. So they’re very biased towards their in-state applicants. This is the same thing in Canada with their provinces. So it’s very hard especially if you’re in a province with just one medical school. Q: Is there such thing as studying for the MCAT too early? A: Of course. A lot of students will start Freshman year with their Bio 1 and Chem 1 and they’ll have an MCAT book with them just to browse through to see what kind of content, questions are framed around the content they’re learning in classes. This is okay. Just don’t really go deep into question banks and full-length exams too early otherwise you’re just going to forget those stuff. Q: Is it true that with a high GPA and MCAT score, you either get in the top 10 or nowhere? A: This is absolutely not true. Q: I have a gap in volunteering. But now, I’m volunteering again. Is that a red flag? How do you go about it? Q: At a med school fair, what’s the best way to start a relationship with a school in the 5-10 minutes that you have? A: Have a conversation and introduce yourself. Talk about why you’re interested in the school. Ask them questions about what they’re looking for in applicants. Give them your card or any information you can give. A lot of medical schools will keep a little book and write down names and email addresses of students they’ve interacted with. Q: Why did you choose to stop practicing medicine? A: I am not practicing medicine anymore. I have decided to focus on podcasting and helping students. I also teach at the University of Colorado Medical School. I got out of the military and stopped practicing medicine partly because of some health issues. I was originally diagnosed with MS. At this point, it was over four years ago. I don’t think it’s MS though. I think I just had some random demyelinating incidence. It’s called a clinically isolated syndrome. But at that time, we didn’t know it wasn’t MS. So the thought of going back into the residency with this new diagnosis of “MS” was scary so we decided to give podcasting a go. I’m glad I did because I’m here everyday for you. Q: What is the best thing to do as an applicant to increase chances of getting interviews post-submission? A: You can’t really do anything post-submission. The best thing to do is just to wait and see. When you’re freshman, do well in your classes and get good grades. Prepare for the MCAT. Write a good personal statement. Check out The Premed Playbook Guide to the Medical School Personal Statement. Q: In the daily struggles, how do you consistently remind yourself that you want to be a physician? A: This one of the reasons we’re starting Med Diaries (Premed Diaries, Med Student Diaries, Resident Diaries, and Physician Diaries). It’s going to be a podcast where you are the star of the show. Call in 833-MYDIARY and you have 30 minutes to leave a voicemail. Explain your situation and we talk about that on the podcast and elicit feedback from the audience. Moreover, make sure to continually put yourself around patients. One of the biggest mistakes that students make when they’re studying for the MCAT is they shut out everything else. When you only study for the MCAT, you’re going to go crazy because you’re not putting yourself around patients, which are the people who are going to remind you why you’re studying for the MCAT. Think about that big picture and the impact you’re going to make on the patients and their loved ones. Q: Will published undergrad research help me match into residency programs in the future? Q: What are the chances for admission with a 3.4 GPA and a 510 MCAT? A: You can’t really answer this question as the chances are whatever they are. You can look back at historical data and their chances of admissions. But that doesn’t tell you what your chances are because there is so much more to an application than MCAT and GPA. Great news! I have a potential future collaboration with Student Doctor Network. I talked with the founder about how we can make the site better for you! One of my biggest contentions from this site is the “What are my chances?” threads which all need to go. Students worry too much about their chances and not actually going and doing the work to improve your chances. Q: I’m interested in military medicine. How do I get the process started on HPSP? A: You have to find a military medical recruiter. Just google it – medical recruiter Air Force, Army Navy – and get that process started. Talk to a recruiter. Q: Tips on deciding which medical school interviews to attend after receiving multiple acceptances. A: If you are lucky enough to have multiple medical school acceptances, when you get another interview invite, try to do a visualization exercise. Visualize getting that acceptance letter from that school that’s inviting for you for an interview. Are you more excited about that acceptance than you are about the acceptances that you already have? Don’t go just because they invited you. Again, you don’t know the medical schools until you go and visit them. If you have the financial means to go to these interviews then go. Unless you really already have a school you’re going to and you got accepted there, then turn the others all down. Otherwise, go and see more. I know of a student who went on an interview to a school that was last on her list and she left with that school now at the top of her list because of what she experienced on interview day. As long as you have the financial means and you have the time, then go to as many as you can. Q: How to know when to keep pushing forward or when to just go with your plan B. A: Don’t have a Plan B. If you want to be a physician then be a physician and don’t have a plan B. Otherwise, you won’t be putting as much effort into plan A. You are sabotaging yourself. So get rid of Plan B. If this is what you’re meant to do and you’re meant to be a physician, then be one. Figure it out. It may take a bit longer than you want. But you’re going to be a physician at the end of the day. Q: What is the biggest challenge you faced when you were applying to medical school? A: It was a lack of understanding, reason that I started the website and the podcast to begin with. I didn’t really understand the whole process. I didn’t understand that you needed shadowing and clinical experience and all of those. So it was a general lack of understanding. When I applied back in 2001, the internet wasn’t as solid as it is now. But the information is out there now. Q: What is your advice when considering the HPSP Air Force Scholarship related to the future of residency? A: If you’re going to HPSP, you have to apply to the military match as well as the civilian match. But the military match will dictate what happens to your future. And you have to understand that. If you know in your heart that you want to be a dermatologist, it’s hard to get into dermatology in the military and in the civilian. So they might instead let you go into a general practice flight surgeon. This is what they told me after I applied for orthopedics, which is another super competitive field. Q: Does a school increase your chances of getting into a certain residency? A: It may expose you to a residency program. There may be a residency director or residents who may have some influence on their program to help you get in. But the name of the school has a very small effect on your residency chances. Q: What was the most defining moment in life that showed your calling to medicine? A: I initially wanted to be a physical therapist. I hurt my shoulder from playing baseball in high school and so I wanted to be a physical therapist. I can help people get back to their level of functioning. I can help people get back to the sport they love. Then I dissected a cat and got that interest to be an orthopedic surgeon. Now, I’m a podcaster. Q: Nontrad wondering when to apply. ASAP? Or add a year for less financial stress? A: Less financial stress is good. ASAP (September 4 as we’re recording this) so it’s going to be late in the application cycle already. So you would want to delay just because of that. Q: Is it a good idea to get a letter of recommendation for a physician you have shadowed for MD school? A: It’s good to have letters of recommendations from physicians or a letter of recommendation from a physician. It doesn’t hurt to gather as many letters as possible. Store them in Interfolio. And when you’re ready to apply, select the letters that you want to use eventually. Q: What do I do if my premed advisor isn’t helpful and telling me I shouldn’t go to medical school? A: Ignore them! My premed advisor told me not to apply to medical school because I was a white male, had a good GPA, an okay MCAT (didn’t have that score while I was talking to her though). So I ignored her and applied to medical school. Q: Is there a certain GPA cutoff that you would recommend for a postbac or an SMP? A: If you have less than a 3.0, you’re probably looking to do something to improve your GPA. There’s a lot that goes into a GPA though. Look at the OldPreMeds Podcast early on and we did a podcast about a GPA and how it isn’t just your GPA. Q: What to do if you haven’t volunteered all your undergrad until your senior year? A: Volunteer as much as you can and hope they don’t ask about it.